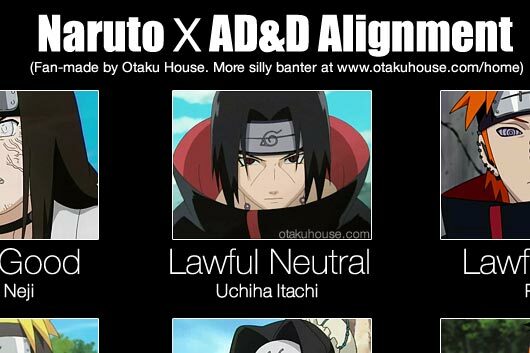 Yes, everybody knows about the AD&D Alignment. But for the ill-informed, AD&D is the epic role playing game: Advanced Dungeons and Dragons. The D&D Alignment is a famous categorization among gamers for a character’s ethical (Lawful, Neutral, Chaotic) and moral (Good, Neutral, Evil) perspective. 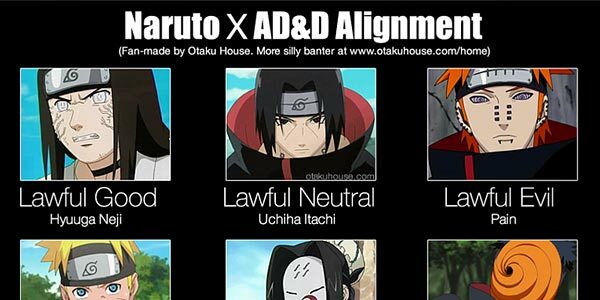 And because it’s fun, I tried to categorize the Naruto characters based on the characteristics of the D&D alignment. Agree or disagree with the alignment; or think there are other more suitable characters for each alignment? Tell us what you think by discussing below! 1. He follows the rules of his clan to a tee. 2. He’s more or less a good guy. 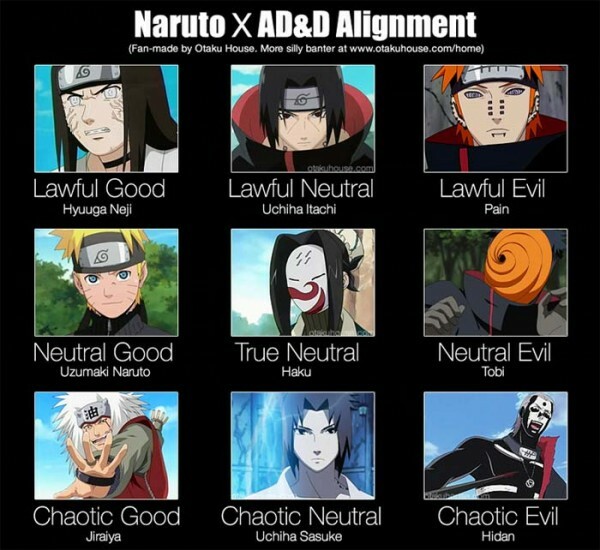 Thus, Hyuuga Neji is lawful good. I don’t need to explain this, do I? Itachi is Lawful because he follows his own set of rules in order to keep Konoha safe. He is Neutral to the concept of good and evil. I mean, he did murder his entire clan and joined some secret society, and yet is a big softie at heart, and in truth some kind of world savior.